Bytecoin: Gigantic fraud or fateful mistake? Alexey Voronin, the founder of the decentralized project scoring service Smart Valley, analyzes the recent explosive growth of Bytecoin. In these last few days, Bytecoin has launched a real tidal wave of hype across the crypto community, smashing other altcoins right and left. This is a fascinating series of events; but before we delve into them, let’s say a few words about our feature’s main character. 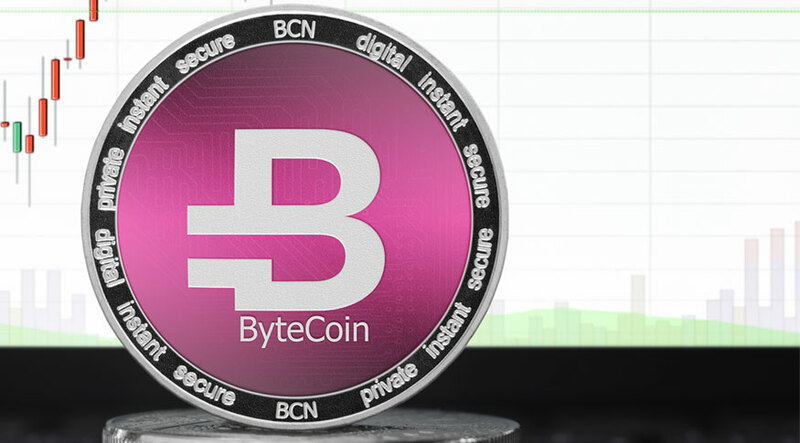 Bytecoin is an anonymous cryptocurrency, a second-league altcoin created in 2012 by a user known as AMJUAREZ. Its ticket is BCN, and it uses the CryptoNote algorithm, meaning that this altcoin aims at increased anonymity and maximum mining decentralization. Bytecoin was once infamous for its huge premine. Our story starts on May 8, 2018, it was announced that Bytecoin got listed at the world’s largest digital exchange, Binance. After this, the plot unfolded just like a good Hollywood action movie – fast and furious. Once BCN got listed on Binance, its price increased by over 1000%, but nobody had the time to benefit from the spike – quite the opposite, actually. Interestingly, the price differed tenfold at different exchanges. The thriller ended in a complete crash and huge losses for all Bytecoin holders… but let’s not get ahead of ourselves. Once the hype (and the price) reached its peak, it turned out that all the largest exchanges – Poloniex, HitBTC, Binance, etc. – froze withdrawals by Bytecoin holders. What happened to this presumably great coin? Different sides tell radically different stories. Digital exchanges claim that the Bytecoin network simply stopped working: there was nowhere to send withdrawals to since the Bytecoin blockchain stopped processing transactions and switched its status to “out of service”. Bytecoin developers eventually admitted – after a long period of dignified silence – that their network wasn’t feeling too good. Then they said that the network went into overload due to the sudden spike in popularity. Finally, they started blaming evil-minded miners who had presumably used some severely outdated software, which overloaded the network. Users could not agree, either: versions ranged from collusion between exchanges to freeze superprofitable transactions (since many BCN holders would have received fantastic profits in the hundreds of percentage points in just one day) to a planned pump that would provide profits only to a selected group of insiders. In short, it was a mess. And it is still unclear what happened and who is to blame. All BCN investors’ money is now frozen (or disappeared) since the network is not working. As I’m writing this, the issue still hasn’t been solved; and if you are planning a BCN transaction, be warned – an attempt to transfer Bytecoin between wallets can have unpredictable consequences… though most probably you’ll just lose your coins once and for all. Late in the evening on May 8, CoinMarketCap put BCN at the 15th spot in its rating, but soon Bytecoin fell to the 1594th line and then was deleted altogether. Now users have no way of knowing its price, trading volume, and even market capitalization. At some point, the coin lost almost 50% of its value, but now it is being traded at a price that is higher than the original value. There are lots of BCN transactions placed on hold on Binance: some funds never reached recipients’ wallets or got lost in withdrawals while the network was not functioning. Other users simply lost access to their assets and are waiting for the network to come back. So what are we left with? The story is really weird – especially the fact that (according to CoinMarketCap) there was no spike in day trades that normally accompany such pumps. We probably have to wait for the grand finale of this action thriller: an updated version of the software is already available at the Bytecoin website, and the users are eagerly waiting for the update of the nodes (which is proceeding without much vigor). When looking at this scene of desolation, it is hard not to think that the long-term prospects of many altcoins may be equally grim. The Bytecoin story reminds the huge mess caused recently by yet another darling of anonymity fans – Verge, which fell victim to a classic 51 percent attack (which before had been considered unlikely, impossible, and generally a myth). This series of scandals can serve as evidence of most altcoins’ sad fate: if you play cheap, you’ll end badly.